Whichever sector of financial services you look at, IT is still one of the biggest board room agenda items. Whether that is to support regulatory compliance or offering a potential business differentiator, IT has the ability to effect either the top or bottom line of a financial services organisation. The Financial Services sector is one that never relied more heavily on IT. With a highly changeable and volatile global economy along with many well publicised crisis relating to financial scandals such as PPI and LIBOR, regulatory attention in the sector has never been never greater. There have also been a number of well publicised IT failures leading to customers being directly affected. The industry has been dependent on technology for some time but now, more than ever, IT is becoming the key differentiator in the sector; the factor that is helping to make trades more profitable, to capture more market share through better online, digital offerings and to mine and leverage data to create better, more customised and tailored services for the customer. The challenges faced in financial services are both similar across the sector and yet varied at the same time. Many of the new, emerging technologies and their associated benefits combined with the challenges of IT in this sector apply just as well to Retail Banking, Investment Banking and Insurance. However we recognise that each sector still retains their own unique requirements and approach. Within the industry from Investment to Retail Banking and Insurance to Wealth Management recent market developments have led to the competitive and regulatory landscape evolving at unprecedented speed. The backdrop of fluctuating economic conditions and rapidly changing customer needs mean IT has to deliver rapid, adaptable and stable solutions that meet the most demanding requirements. The Retail Banking sector is one that experience huge change. In the current, difficult global economic climate the Banks’ have had to adapt and change how they do business. To tighten up their business practices and work more closely with the regulators whilst recognising that the future of their industry lies not in the high street but online. The challenges faced in retail Banking are also huge opportunities for IT to differentiate an organisation and become a leading catalyst for change. Through the Digital revolution, Big Data and Operational optimisation, the Retail Banking sector is poised to move from their more traditional, conservative use of IT to become innovators and leverage technology to drive their change and business direction. Insurance is perhaps one of the most stable in the FS industry. From a technology perspective the Insurance sector has never been able to leverage new products and services to drive their business forwards. Core elements of the Insurance business in actuarial decision making can now leverage the power of the cloud and hugely scalable compute clusters changes the way that decisions are made. Equally the influx of data and the ability to capture and analyse this is prime market for the Big Data players – the ability for insurance companies to ingest and make even better, more informed decisions through the use of technology. As with other players in the FS sector the regulatory and compliance factors remain a key part of the Insurance business and the ability to maintain and manage customer records accurately and easily has never been more important. 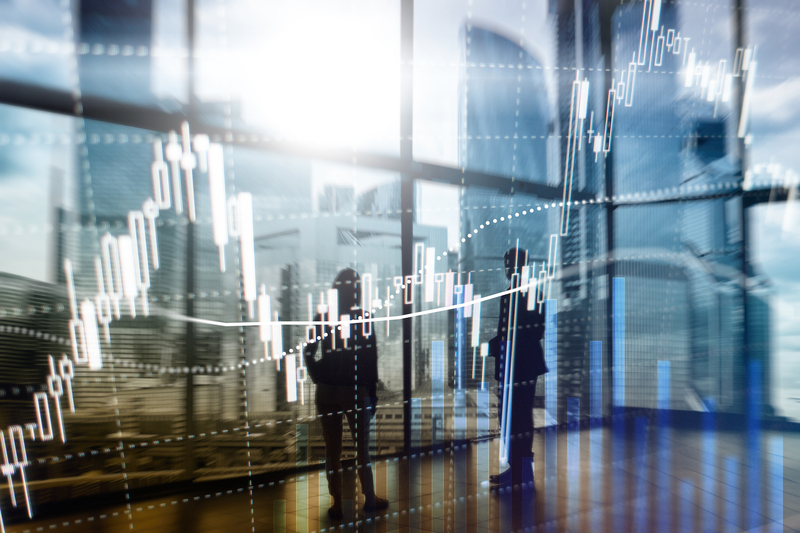 Whilst much of the recent attention has been around the high street banking the Investment Banking sector has been the most affected by global economic conditions. The challenges for Investment Banks are great and not least how they cope with the mergers and organisational splits that are continuing to take place. Technology has a key role in supporting the Investment Banks to become more streamlined and efficient in their operations; to help the sector make the required changes and then embed the best operational processes. Investment Banking has been a sector characterised by technology being used to push the boundaries of IT; making trading faster and immediate coupled with the automation and efficiency gains in the Middle and Back Office processes – whilst this approach remains critical, as the global climate has changed and with it the focus for the use of IT. With increased regulation and arguably the need for Investment Banking operations to become more efficient the ability to analyse data to make better decisions along with leveraging better management practices in areas such as SIAM have never been more relevant in the sector. Perhaps one of the biggest changes in how technology can influence business practice is happening in the Wealth Management sector. With the move to more Robo Advisory approaches becoming ever more prevalent (with the human broker / advisory being removed from the service) the way in which the sector is hugely dependent on the Digital era and how businesses in this react. From the development of their products sets to how they are marketed and presented to the end customer through social media, etc. technology is making huge changes in the Wealth Management sector. When this is coupled with changes to the legislation in the UK pertaining to Pensions and how individuals can manage their own money the growth in online, digital tools and development is likely to explode in the Wealth Management sector over the next few years – how the Wealth Management sector keeps pace with this and balances its regulatory and advisory role along with creating and agile and quality set of online products will be technology challenge and opportunity. The area of data management is one that is critical to Financial Services as a whole. Data Management is nothing new as a discipline and challenge however the technology changes along with the ever increasing legal and regulatory landscape are making this one of the key areas of focus. The operations of both the IT ad Business process is something that all organisation share, however there are some specific challenges that are prevalent in this sector at the moment. Technical Debt Remediation And Strategy Development. IT Operating Model Design For Financial Services Organisation. Digital Transformation Strategy For Financial Services Provider.